Pyatt & Hesbrook is a real treasure trove of treats. Their shop in Ashbourne is a wonder for anyone interested in unique and sometimes bizarre home decoration. The new brand was developed to incorporate the traditional meanings of surnames ‘Pyatt’ & ‘Hesbrook’, whilst giving the shop a clean and distinctive icon which is truly a one off. 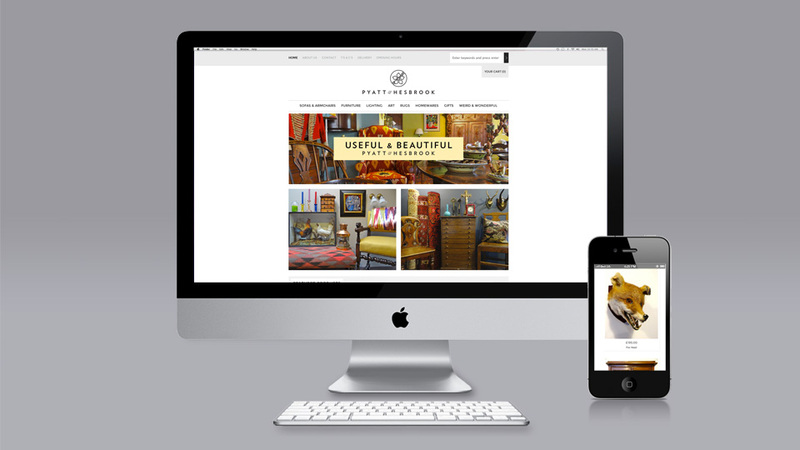 The e-commerce website developed for the shop was built on the excellent user friendly Shopify which allows Pyatt & Hesbrook to upload new stock, set postage prices, track orders and control stock levels. 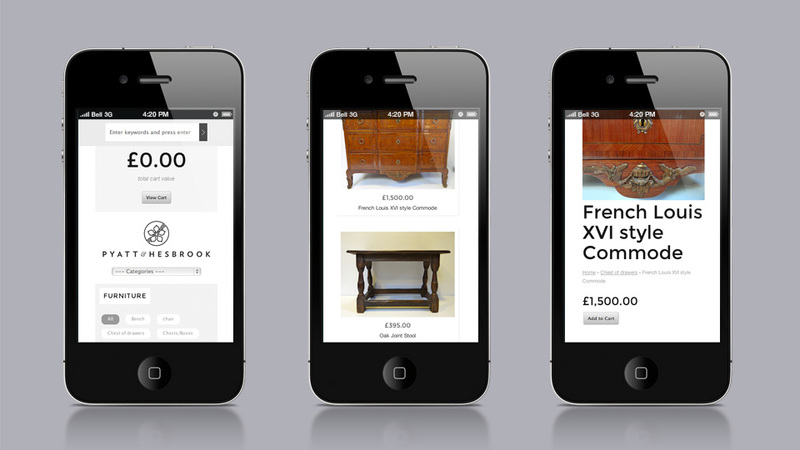 This new e-commerce website has also been developed as a responsive site allowing vistors to browse, share and place orders on smartphones and tablets. 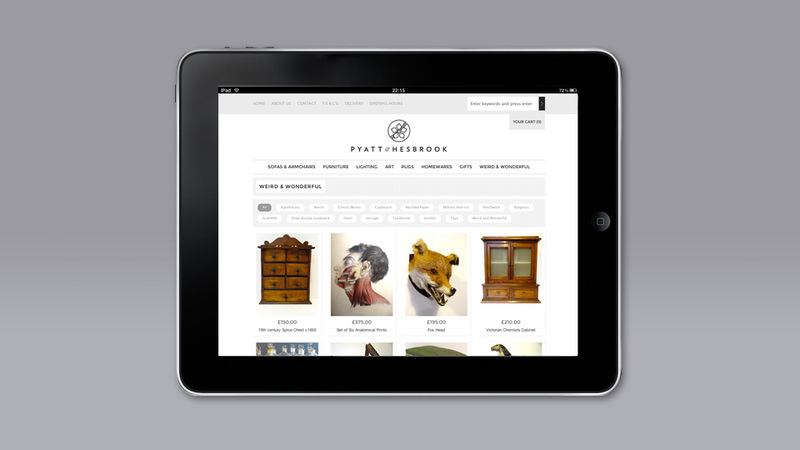 You can view the full e-commerce website at pyattandhesbrook.co.uk or purchase our favourite item here.